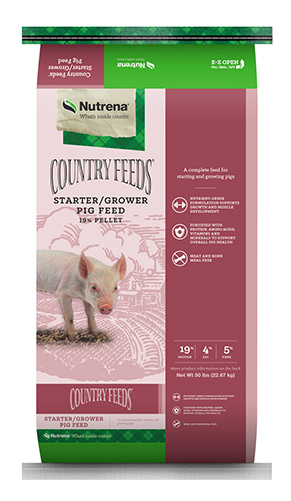 Balance is Key The protein and amino acid profile in Country Feeds Starter/Grower Pig Feed is specifically designed to be optimum for young pigs. 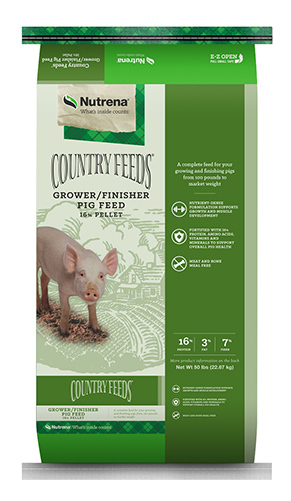 Start Right Added lysine helps promote growth and development of muscle, so young pigs start with the right type of growth - from the very beginning. Why Whey? Young pigs’ digestive systems are immature and still developing. Using whey protein as a lactose source in the starter/grower ration increases palatability and provides easily digested energy. 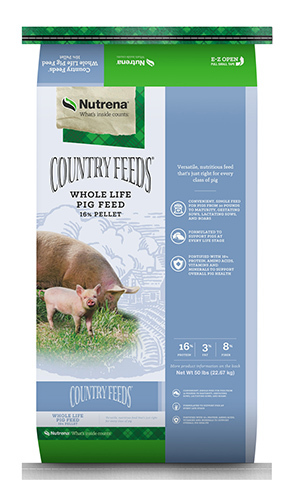 Introduce pellets well before weaning to ease the transition to solid food. Refer to the tag on the bag for complete information and feeding directions.